When it comes to replacing your roof, have you ever looked into the huge variation of styles that you could choose from? Whether you’re looking for a roof replacement for a domestic, commercial or heritage property, ProRoofing has more than 30 years’ experience providing roof replacement services for a huge range of buildings. We are here to give you an insight into the different types of roofs available, and tell you why ProRoofing should be the first company you call when you need to carry out a roof replacement on your property. What are the different roof replacements available to me? Natural slate – comes in different colours and shapes. It is not prone to discolouration, it is incredibly durable and will last for several lifetimes. Clay tiles – much cheaper than slate and quicker and easier to install. They may require slightly more maintenance and will not last quite as long, but they make reliable roof tiles and look great. Fibreglass GRP – Exceptionally strong and can last up to 50 years. Its structure is seamless and joint free, which limits potential access points for rainwater. Kemper roofing system – A reinforced resin waterproofing membrane. It has been used on famous landmark buildings like the Gherkin in London and the Empire State building in New York. Why not choose something a little different for your roof replacement? The clue is in the name with this architectural roof. Taking the shape of butterfly wings, instead of the sides facing down, they face up, forming a ‘v’-like shape. The sides can take an asymmetrical appearance, whereby the central seam is off-centre. Rain flows into the central seam and filters into either a scupper or downspout. On a standard square-shaped building, a hip roof would have four sides instead of two, and usually takes the form of a pyramid. They commonly consist of two triangular sides and two trapezoidal sides. These roofs are ideal for those looking for a roof replacement which is incredibly strong. Hip roofs are often recommended to those who live in hurricane-prone regions because of their sound structure, so they would have no problem lasting through years of the great British weather! A mansard roof, commonly called a French roof, is a traditional style of roof often seen on older style buildings. 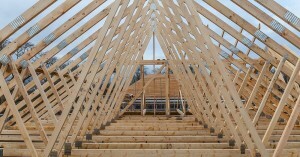 It partially takes the same form of a hip roof, only in the fact that it has four sides. The difference between a mansard and a hip roof is the structure of the sloped sides. While the sides of a hip roof remain the same steepness all the way down, mansard sides start off shallower, then become steeper. A mansard roof is great option for those looking for a roof replacement to extend their living space, as the structure allows for a large attic conversion. For those looking for something more structurally complex, our roof replacement team can combine features of the different roofs mentioned above. For example, you may want a hip roof for your house, but on one side of the roof you have a porch way, which would look great with a gable roof. Why should you choose ProRoofing to carry out your roof replacement? We understand that the duration of a roof replacement can be a stressful time, and we’re sure that you’ll have lots of questions that need answering to gain a peace of mind. At ProRoofing, we welcome your questions, and we make ourselves available to offer you all the advice you could need when choosing the best style for your roof replacement. When you contact us regarding your roof replacement, we will come out and assess the structure of your current roof, taking into account any damages. If you would like a new type of roof, we will take into account the necessary structural changes for the conversion and quote you a fair price accordingly. 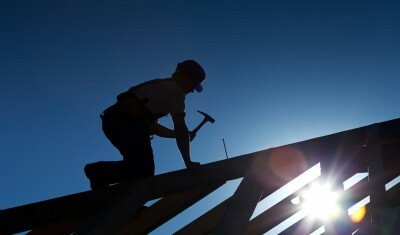 Roofing is a complex job, and needs to be structurally correct to be safe and provide maximum protection. All of our staff are professionals and are highly trained to meet the exceptionally high standards of the industry. Our roofs are built to last, and our confidence extends out to our 10 year guarantee, which we give to every single one of our customers. With our vast experience carrying out roof replacements, there’s no style of roof that we aren’t experts at constructing. Contact us now for professional advice and arrange your free quotation.